At the recent Agrilink trade show, we were most fascinated by Dewi’s Cocktail Cucumber, which is claimed to be the smallest cucumber (0.5 to 2.5 inches) in the world. And we also met there a most interesting lady, Virginia ‘Dewi’ Hanrieder, who is commercially producing and processing the same. Dewi’s Cocktail Cudumber is very unique. Unlike other varieties that are distributed by large seed companies, Dewi’s is a perennial plant that can develop a big vine, and live and bear fruits on and on for many years. On the other hand, the hybrid cucumbers developed and distributed by the local and foreign companies stay productive for only a couple of months or even less after starting to bear fruit. processing in Germany and goldsmithing and jewelry designing in the United Kingdom. She also studied agriculture and biology courses at UP Los Banos and Silliman University. 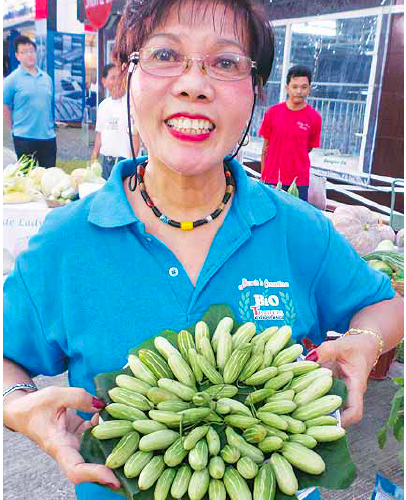 After staying for 40 years abroad, she finally decided to come back and stay for good in her native hilippines, deciding to commercialize a very small cucumber variety developed many years ago as a hobby by her agriculturist father, Bernardo Cagauan Sr., and a brother, Bernie Cagauan Jr., who is a plant breeder now based in Hawaii. Drug Administration. But let’s just zero in on Dewi’s cocktail cucumber. 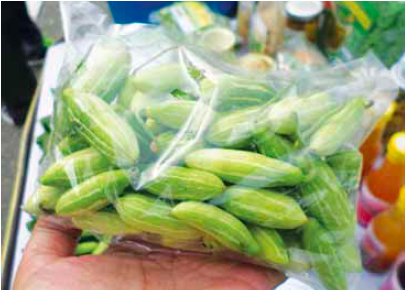 The first cucumber plantation developed is a one-hectare area in Barangay Cayabu in Tanay, Rizal. 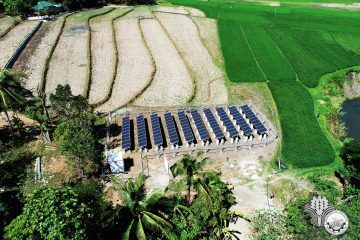 But due to the big potential demand for the products they have developed, the partners are expanding production in farms in Montalban (Rodriguez), Rizal and in Mindoro. 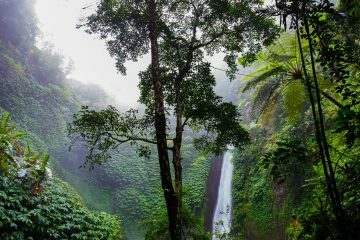 Dewi, who has participated in trade shows in Japan, Hawaii, and elsewhere, says that there is a tremendous interest in their products abroad. One importer from Japan who has tasted their products and personally visited their farm and processing plant would like to import 50 tons of pickles and other processed products every month. What is good is that Dewi’s cucumber is really prolific throughout the year for many years. A vine that she exhibited at the Agrilink has fruits in practically every node. Thus it can be a year-round source of raw material for pickles, juices, salsa, spreads, and jams. Also, unprocessed fresh fruits are nice to eat as snack food. Topped with cucumber spread that the company developed, it was really enjoyed by tasters at the Agrilink. A bag of tiny cocktail cucumbers. One hectare of land can be planted to 10,000 cucumber plants. When the plant starts bearing fruit, it can produce 50 grams per day which translates to 500 kilos per day of fresh cucumber fruits per hectare. That’s also 15 tons a month. 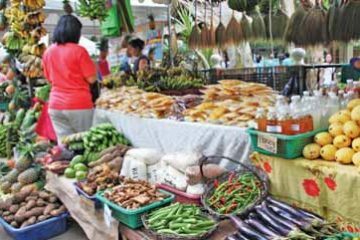 As per their project study for a five-year development plan, a 7-hectare plantation can supply the raw materials for a medium-size processing plant. The plantation can supply the processing plant’s requirements. To produce 1,000 kilos of pickles per day, the required volume is 660 kilos of cucumbers. To produce 150 bottles of prunes per day, the requirement is 300 kilos of cucumber. To produce 2,000 liters of juice, 600 kilos of fruits are needed. And for 1,000 kg. salsa per day, the requirement is 300 kilos of fruits, and to produce 1,000 kilos of spread per day, they need 300 kilos of fruits. Oh yes, Bio Traders also processes cucumber fruits into cosmetics, particularly facial masks. And per pack of facial cream of 20 to 50 grams, the fruit requirement to produce 1,000 packs per day is 200 kilos of fruits. By the way, Dewi is serious in saying that her young looks could be attributed to her daily treatment of their cucumber facial cream. Here are Bio Traders products: pickles, cucumber paste salsa, bread spread, cosmetics and prunes. Two products are being developed. One is dried cucumber which could be rehydrated for use in salads, and juice which could be good for pizza sauce and for soft drinks.